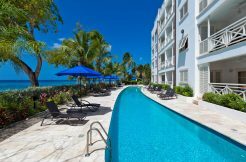 Long Term Rentals Barbados – About Us. We provide a tailored, personal service and aim to be the best Barbados rental agency/realtor on Barbados. he knows half the people in Barbados and the other half know him! That’s the kind of place it is. We divide our time between Barbados and England. homes, luxury villas and apartments with pools and townhouses. anywhere because the vendors wish to be discrete about their offering. Barbados to discuss your requirements and show you all properties on the island matching your requirements. for viewings. Click here to read our testimonials and see what clients say about us.